It’s the corny jokes your uncle makes at the table every year, watching little kids stir batter in the kitchen and making conversation over punch in the living room that make the holidays the best time of the year. 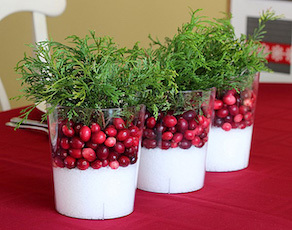 Centerpieces are a great compliment to any holiday meal and can help make the atmosphere festive and bright. First on the list are do it yourself centerpieces. These are great because you can add a really personal touch to them. 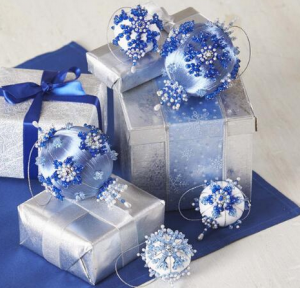 In fact, most of the centerpieces listed here can be created as one person craft project! Floral centerpieces make holiday dinners bright and cheery! These can be purchased at flower shops or created with flowers from your very own garden. Add a little bit of faux snow for an extra touch of winter magic. Glass centerpieces are elegant and add a touch of class to any table spread. You can make these yourself with your favorite glass ornaments or figurines. Ceramic centerpieces are great because you can really do a lot of interesting stuff with them. For example, if you have a holiday village set, you can take your favorite scene from that set and make it your table’s centerpiece. A collection of turkey platters and Italian ceramics can make a delightfully themed centerpiece for your buffet or dinner table. If you don’t have time to make or buy a centerpiece this year, or if you just need to give the little ones something to do, then perhaps you should let the kids make it a craft project. This is a great opportunity for kids to bond with distant relatives their own age and get to know their family better. Thistles and pine cones make for a great nature oriented centerpiece. You can also decorate them yourself with paints and other adornments for a lovely little centerpiece that will give your table a warm and homey look. If you want to really treat your guests this holiday season give them a laugh with a humorous centerpiece. Perhaps a dancing Santa Claus, miniature wreath made of repurposed beer cans, or your favorite holiday decorating accessory will provide a warm light-hearted atmosphere for your holiday meal. Holly trees have long been associated with winter and the holidays. 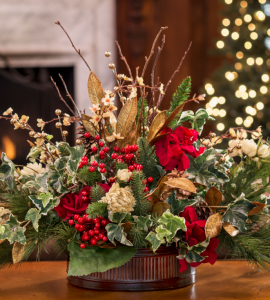 You can make a nice centerpiece by simply arranging the twigs leaves and berries of a holly tree to you liking. Are you missing someone this holiday season? Maybe a loved one passed away this year or someone in your family serving overseas in the military. Simply place their picture in the center of the table and build a nice centerpiece around it (maybe with some objects emblematic of that person). 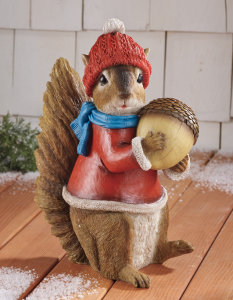 It might be just the thing ti bring the warmth of their presence home for the season. Decorative balls are a versatile decoration that can be used to make a great centerpiece. Use your favorite ornaments or an arrangement of your favorite colors to add a splash of light to your holiday gathering. This year, take some time to make your holiday gathering just a little more special with a personalized centerpiece decoration, using the ideas from this list of creative holiday centerpiece ideas.